Our carriage is an original hearse which was puircahsed and used by Mr. John Bartlett who was an Undertaker in the Collinsville area. Mr. Bartlett purchased the hearse around 1920 and used it continually until it was replaced by a motorized Model "T" hearse. 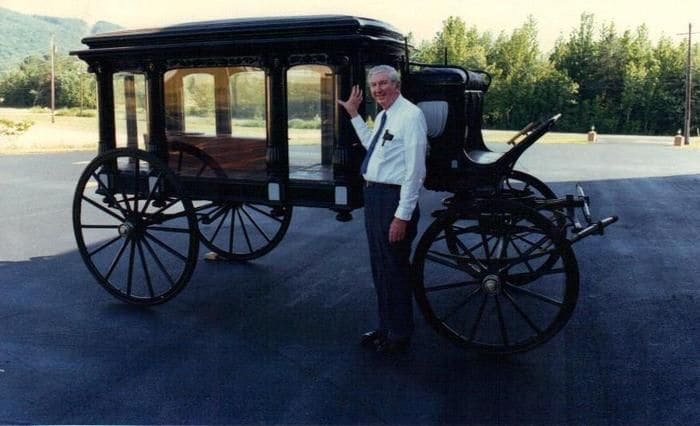 In the 1930's, Mr. Bartlett passed the hearse on to Mr. Hoyt Wilson. During the 90's, the hearse was transported to Mobile and used during the Mardi Gra celebration as well as being used in the Christmas parade in Fort Payne. Still today, several families can remember their parents and grandparents being transported to the cemetery in this hearse. 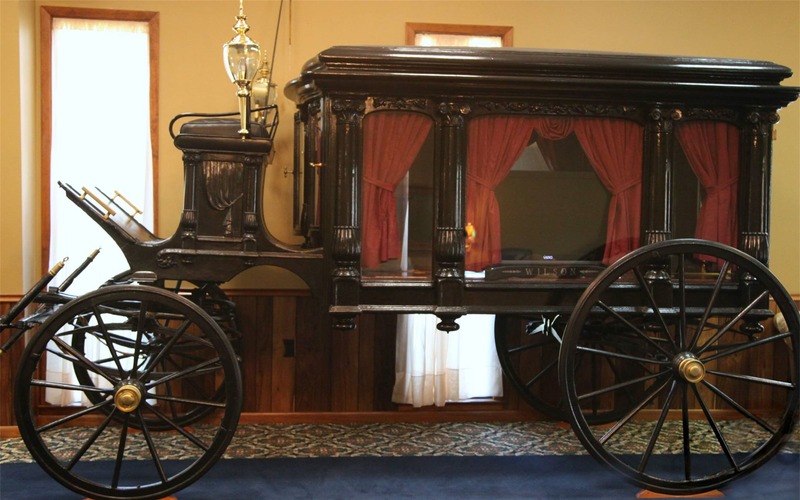 The hearse has been restored by employees of Wilson Funeral Home; however, it has been maintained as original as possible. The wheels are original with the exception of the rubber tires that were mounted in the 80's. The curved glass windows are all original and the curtains are close to the originals with the exception of the fringe tassels. The lamps are replica of the original kerosene lanterns used in that era. Over the years, this unique piece of history has become the symbol of Wilson Funeral Home and is now proudly displayed in the lobby of our establishment in memory of Hoyt Wilson.